Rinse all beans in colander, drain and place in bowl. 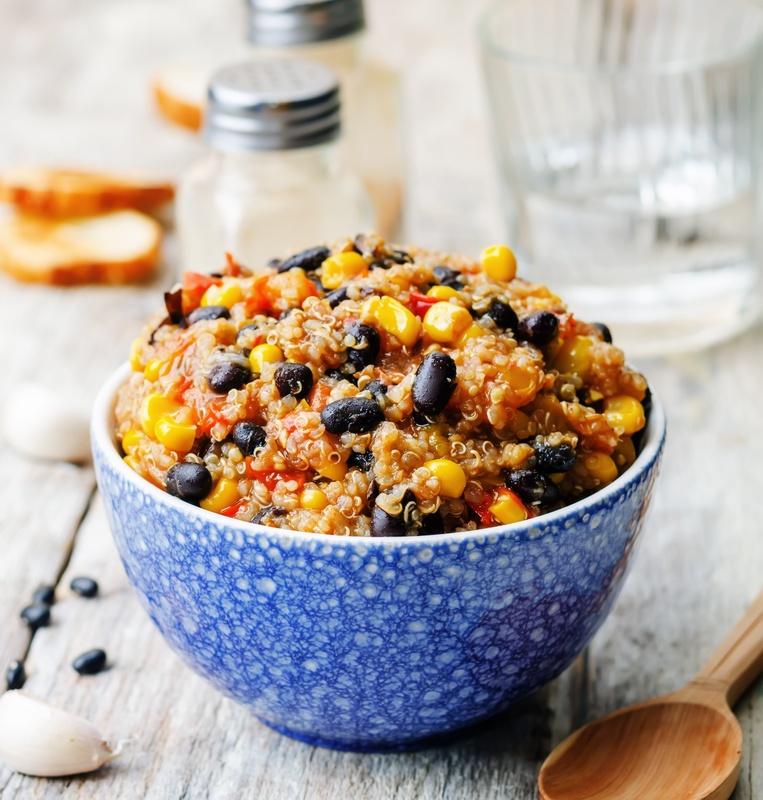 Cook quinoa add to bowl of beans. Dice onion finely and add to bowl along with the corn. (Shoe peg corn could also go well with this recipe) mix thoroughly squeeze limes over everything sprinkle with salt mix well.